A guide and a first-rate reference for the angler, scientist, and amateur naturalist alike, this comprehensive volume profiles each of the 144 fish species inhabiting the waterways of Kansas—as well as 27 others that might make their way to the state from nearby river basins. With 121 maps and 184 full-color drawings by Joseph Tomelleri, arguably the best illustrator of North American fishes, Kansas Fishes is an incomparable resource. For each species, the authors, an all-star cast of regional biologists, provide information about fundamental natural history, anatomy, and physiology, along with in-state distributions, habitats, characteristics, and pertinent issues of conservation and ecology. With these experts authoring detailed accounts of the species they know best, this is a uniquely authoritative account of the region's fishes. As such, it will prove useful to students and professionals while providing the passionate amateur and the simply curious an entry into the fascinating world of the fishes of Kansas and nearby states. The Kansas Fishes Committee members represent each of the six state universities (Emporia State, Fort Hays State, Kansas State, Pittsburg State, and Wichita State Universities, and the University of Kansas), as well as the Kansas Biological Survey, the Kansas Department of Health and Environment, and the Kansas Department of Wildlife, Parks and Tourism—the people responsible for studying, protecting, and educating people about the fishes and waters of Kansas. In addition to the committee, nearly 50 biologists from the United States and Canada volunteered to contribute species accounts to the book based on their expertise with those species in Kansas and nearby states. 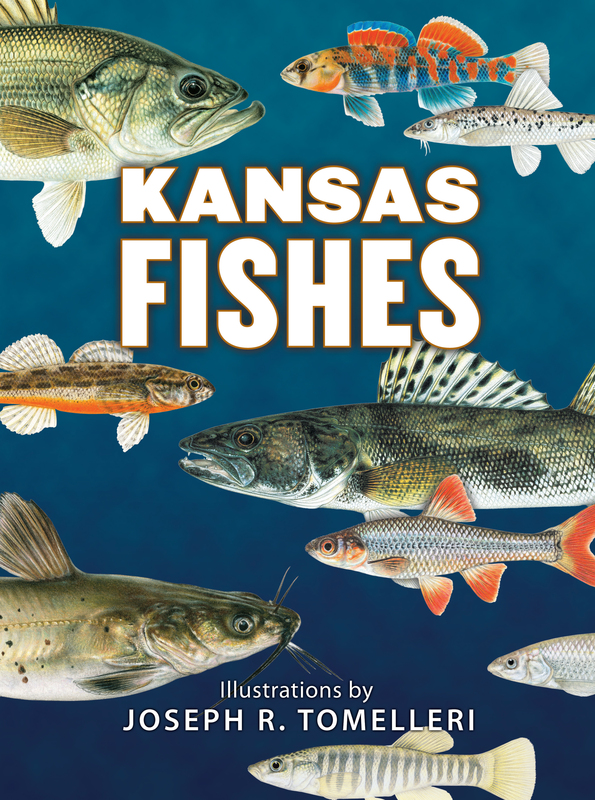 These individuals work for a variety of universities, federal and state agencies, and private companies, making this book a broad collaboration of experts on the fish species of Kansas.